An environment ministry notification said the noise limits would replace and supersede the ambient air quality. Mumbai : The Union environment ministry has issued a notification setting noise standards for all airports across the country. The limits, however, exclude defence aircrafts, and those that are landing and taking-off. 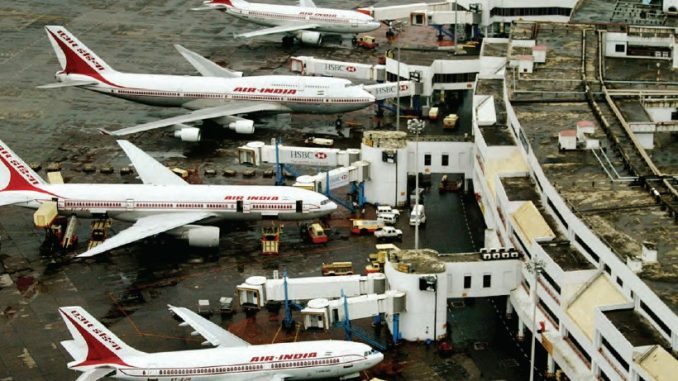 The notification, issued on June 18, states that noise standards within the overall boundary for various airports are equivalent and applicable as ‘Industrial Zones’. “The noise limits specified shall replace and supersede the ambient air quality in respect of noise limits of existing zones: silence, residential, and commercial areas,” the notification read undersigned by Dr. A Senthil Vel, scientist, ministry of environment, forests and climate change (MoEFCC) that termed the Environment (Protection) Amendment Rules, 2018. The rules state that busy airports — a civil airport with more than 50,000 aircraft movements per year (take-off or a landing) – should not exceed noise levels beyond 75 dB(A) Leq (decibels) during the day time (6am to 10pm) and 65 dBA during the night (10pm to 6am). All other airports — an airport having more than 15,000 but less than 50,000 movements annually — should not exceed levels beyond 65 dBA during the day and 60 dBA during the night. Proposed airports however, are excluded so far. DB (A) Leq denotes the time weighted average of the level of sound in decibels on scale ‘A’ which is relatable to human hearing. “This means that the average noise levels during the time from of 16 hour-interval are considered for time weighted average in airport noise zones, which should not exceed the prescribed limits. Levels need to be measured at different points of an airport boundary and then averaged,” said a senior official from the MoEFCC. “The specified limits shall have a tolerance limit of 10dB (A) Leq, which is the threshold and levels exceeding this need to be controlled by respective airport authorities,” the official added. An airport noise zone is an area for each airport based on the master plan, which shall be defined as a noise contour for day and night period by the respective airport operator on the basis of existing rules from the ministry of civil aviation, the rules said. The rules further state that for new, upcoming or proposed airports, noise-modelling needs to be conducted by airport operators and results need to be sent to MoEFCC while seeking environment clearance. Operators also need to develop airport noise zones.